The Scarborough Red Storm have been the best team in the state all year, and are the favorites to win their eighth state title in 12 years. Their trio of Colin Tardiff, Andrew Sholl and Connor Doherty has been dominant all season long and it showed at the regionals as they finished 1-2-3 on their way to an impressive team win at Twin Brook's. With the 1-2-3 finish Scarborough's average 5k was 17:07 which is incredibly impressive considering all of the rolling hills on the Twin Brook's course. During the beginning of the season it was apparent that Scarborough had a very impressive trio while their four and five runners were considerably off the pack, however Andrew Goodwin has made a great leap in the post-season and has made the Red Storm a sure fire favorite going into this weekend. He placed 13th at the regional, but more importantly he finished ahead of Falmouth's 3-5 runners. He is there x-factor. A good performance from him would likely secure another championship for the Red Storm. If a team is to beat Scarborough this weekend look for Falmouth to upend the Red Storm. Throughout the regular season there were times where the Yachtsmen looked like the most impressive team in the state. They had an off race at the WMC Championships placing fourth to Freeport, Greely and York, but responded with a runner-up finish at the regional with a strong fourth place showing from Sean Soucy. Soucy has made a jump in his performance this post-season and will likely contend for a top ten finish. However if Falmouth wants to contend with Scarborough they will need Jeremiah Sands to run right up with Soucy. Sands has been Falmouth's number one runner numerous times throughout the season and placed seventh at the regional. Falmouth's 3-5 pack of Josh Simensky, Ben Wyman and Jon Auer might be the most impressive pack in the state but they will need great performances from all if they hope to win on Saturday. From northern Maine, Hampden Academy will look to mix it up with Scarborough and Falmouth. They have a runner in Paul Casavant who is almost a surefire lock for a top three finish, and also have Will Webb and Wyatt Lord who make a formidable top three for the Broncos. All runners raced to top ten finishes and sub-17 performances at the Northern Regional in Belfast last weekend as they pulled away from Bangor winning 75-85. Webb and Lord should both contend for top 15/20 finishes. While their top three is very solid, they will need stellar performances from Wyatt Lataille and Patrick Welch if Hampden is to run towards a top three finish. Windham has been a very consistent team all year and, like Hampden, will look to contend for a top three finish this weekend. They placed third at the western regional on the strength of a eighth place finish from Ben Breton. Breton has been one of the top SMAA runners all year and will need a great race from him on Saturday for Windham to place high. Reese Preston gives Windham a strong duo between him and Breton and will likely need a good race from him as well for them to contend for a top finish. Finishing just seven points behind Windham at the regional was Westbrook as they were led by Josh Lombardo who will likely contend for a top ten finish. Lombardo placed sixth at the regional. Westbrook place five runners in the top forty and will need another performance like last week to place high. Also watch for the Bangor Rams to challenge for a top five finish this weekend. They finished just ten points behind Hampden Academy at their regional and have a tight 1-5 pack which is led by Mathieu Ract who should contend for a top twenty finish. Expect it to be the Osman Doorow show on Saturday. 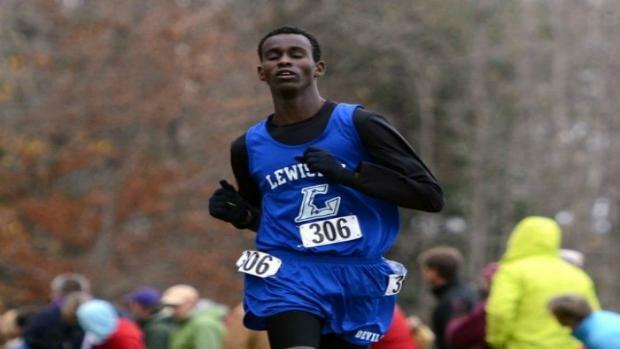 The senior from Lewiston has made the jump from good to great this season and will be gunning for a very fast time. He's broken numerous course records and hasn't really been challenged all year. Last week at the regional Doorow ran to a record time of 15:40.39 with only Hampden's Paul Casavant being able to stay with him for some of the race. To put his time in perspective, Brunswick graduate Will Geoghegan ran 15:46 his senior year at the regional before running 15:43 at Twin Brook's back in 2009. Doorow has been running at that level all year and will look to run sub-16 given the conditions. 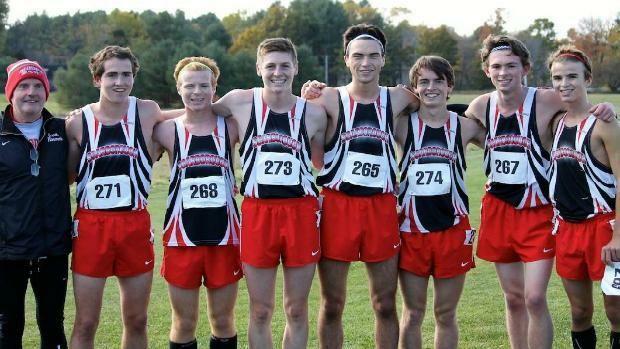 If he is to run sub-16 he would join Ben True, Matt McClintock, Josef Holt-Andrews, Will Geoghegan and Nate Hathaway as the only Maine runners to break the elusive barrier at Twin Brook. Expected to chase Doorow on Saturday will be Paul Casavant of Hampden Academy. He finished second to Doorow at Festival of Champions, the KVAC Championships and at the Northern Regional. He's had a tremendous junior year having come close to running sub-16 twice at Belfast. Casavant ran to a fast time of 16:05.91 at the regional last week. The junior last ran at Twin Brook's his freshmen year at the 2013 state meet where he placed 46th. While he hasn't run at Twin Brook's since then, expect him to run a fast time as he hopes to chase down Doorow. Scarborough's Colin Tardiff made a big jump last week as he won the southern regional running a time of 16:39.54. He has raced in Cumberland numerous times which can certainly be an advantage for the Red Storm runner. He's had a great senior campaign, breaking 17 minutes multiple times and can certainly challenge Casavant for a runner-up finish on Saturday. His teammates, Andrew Sholl and Connor Doherty will also look to place high. The trio has been running as a pack all year for the Red Storm and it has made them an intimidating force. With these three all pushing each other, they all could very well place in the top five. Messalonskee's Zachariah Hoyle has had a breakout season this fall and will likely compete for a top five finish. He placed third at the KVAC Championships, then ran a personal best time of 16:16.63 at the Northern Regional placing third once again. The senior will be looking to end his high school xc career with a bang and certainly has the ability for a top-five showing this weekend. A dark-horse in this race could very well be Jesse Southard of Gorham. Southard had an incredible start to his season and boasts a season best time of 16:08 which he ran back on Oct. 16. He has been running injured for a while but showed how tough he is last week where he placed fifth running 16:55. With another week to recuperate, look for Southard to challenge for a top five finish. Cameron Meiere of Mt. Ararat is another eastern Maine runner to watch. He finished less than a second behind Hoyle at the regional running a personal best of 16:17.04. Expect him to challenge for a top finish. Other runners to watch are Sean Soucy and Jeremiah Sands of Falmouth, Jacob Gamache of Edward Little, and Josh Lombardo of Westbrook.